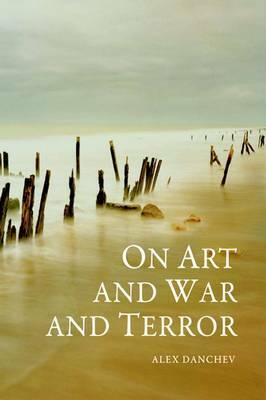 This book, a collection of Alex Danchev's essays on the theme of art, war and terror, newly available in paperback, offers a sustained demonstration of the way in which works of art can help us to explore the most difficult ethical and political issues of our time: war, terror, extermination, torture and abuse. It takes seriously the idea of the artist as moral witness to this realm, considering war photography, for example, as a form of humanitarian intervention. War poetry, war films and war diaries are also considered in a broad view of art, and of war. Kafka is drawn upon to address torture and abuse in the war on terror; Homer is utilised to analyse current talk of 'barbarisation'. The paintings of Gerhard Richter are used to investigate the terrorists of the Baader-Meinhof group, while the photographs of Don McCullin and the writings of Vassily Grossman and Primo Levi allow the author to propose an ethics of small acts of altruism. This book examines the nature of war over the last century, from the Great War to a particular focus on the current 'Global War on Terror'. It investigates what it means to be human in war, the cost it exacts and the ways of coping.Several of the essays therefore have a biographical focus.